JASStek has a basic technical viability platform for validating Blockchain based on personal identity system, that can be implemented into city, state and federal governments. 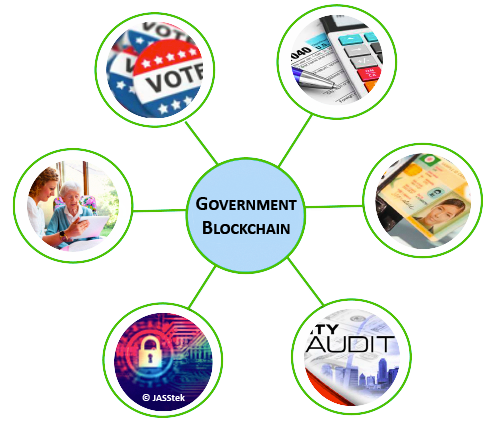 Our Blockchain can handle information across all government departments including Social services, Taxation, Security, Titles and Audit, Voting, Transportation, Education, etc. JASStek’s solution can be implemented as government owned and operated and with support for management of external network participation. Security being key to our agenda, we maintain signatures in the form of a meta-data, based on proven, trusted and widely available cryptographic mechanisms. Contact today, for conversation with Government Blockchain thought leader, to help you reinvent your business.